Treesearch research platform was inaugurated in Sweden in late May. To date it is Sweden's largest investment in research and the development of knowledge and competence in the field of materials and chemicals from the forest. Neste is one of the parties involved in the long-term research investment. Treesearch, where the continuation of the Wallenberg Wood Science Centre (WWSC) is a central factor, involves allocations of over a billion SEK over a 10-year period. Thanks to collaboration between academia, industry, private foundations and the state, a world-leading open research environment is being created is through Treesearch, laying the foundation for future innovations from the forest and contributing to the bioeconomy. Neste is one of the largest biofuel players in the world and is ranked as the world's second most sustainable company in the Global 100 list. “We believe that many of the sustainable solutions of the future are based on lignocellulosic materials from the forest. As far as we are concerned, Treesearch is one way of raising the pace of innovative efforts to find alternatives to fossil raw materials,” says Lars Peter Lindfors, Senior Vice President, Technology at Neste. About 250 doctoral candidates will conduct their research studies on the platform. It is a significant number considering that the Swedish forestry industry today has 70 active researchers with researcher training. Particular focus is being put on attracting and developing young researcher talents and linking basic research to challenge-driven research. An interim objective is also to raise the level and depth of research, and hence the development of the forestry industry. “Fundamental research alone will not meet sustainability challenges. For innovations to be implemented in reality more cooperation is required between academia and industry. Treesearch is just such an area in which innovations become reality, and it is for this reason that we think it so important to be involved,” Lindfors continues. 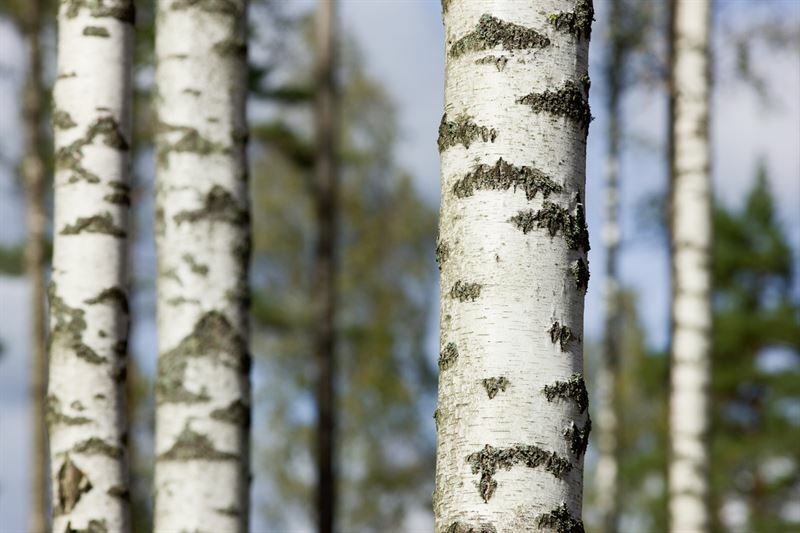 Treesearch is supported by KTH, Chalmers and Linköping University, the Central University, Lund University and industry represented by Neste, BillerudKorsnäs, Stora Enso, Holmen, SCA, Svea skog, Södra, Tetra Pak, Ahlström-Munksjö and Vinnova through BioInnovation and Knut and Alice of the Wallenberg Foundation.